TinyUmbrella has been updated to support iPhone 4 (running iOS 4). It is important to save SHSH Blobs (ECID SHSH) files of your iPhone 4 now because of all the rumors going around regarding a new firmware update, which could be released as early as next week. If you have your SHSH blobs on file, you can downgrade anytime to iOS 4 from iOS 4.01 should you need to. Some important notes for iPhone 4 SHSH blobs before you proceed. If you desire to restore your iPhone 4 to iOS 4, make sure you uninstall Wi-Fi Sync before trying to do so. In order to obtain your SHSH you MUST have the device attached. Restores on the iPhone 4 are not perfect. They error out locally but the restore does complete – it just needs to be helped along. (Much like downgrades where the baseband update fails). I’ll try to put the functionality in TinyUmbrella to fix this. For Mac users: Copy the app OUT OF THE DMG. The reason you are getting the repeating password prompts is because you ran the app from within the DMG. This is bad. Copy it anywhere and you’ll be fine. 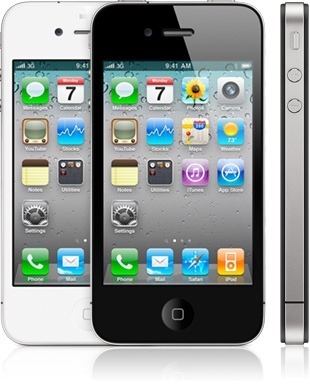 From here onwards, you can simply follow the steps that i have posted here for iPhone 3GS and iPod touch. These steps are essentially the same for iPhone 4 except for some of the notes that I have posted above. Oh and if you want to learn more about what SHSH blobs or ECID SHSH files are, you can do so by reading one of my old article posted here. Where are the blobs saved? Can't get TinyUmbrella to see my device. I've followed these steps, but when I run umbrella, it won't detect my iphone 4, so the Save My SHSH button stays greyed out… I've tried unplugging/plugging several times, but it won't detect it. my iphone 4 is not detected by Umbrella (on the mac). Any suggestions? Is there any way to get the 4.0 shsh files for a 3GS running 3.1.3 JB with Spirit, without upgrading to 4.0? Will try on Snow Leopard and Windows 7 and update results. Not dectecting my iphone 4! 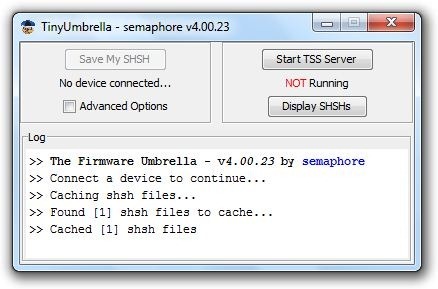 Tiny Umbrella reads and save the SHSH files from my 3GS just fine. On my iPhone4, no luck. When i connect it still says “no device connected”. Any help on saving my SHSH from my iphone 4 with iOS 4? For some reason tinyumbrella is not recognizing my iphone 4. Am I missing something? This version gives a “No Device Connected” no matter what I do for my i4. Any idea how to fix this? Followed the instructions perfectly as far as I can tell. Symantec AntiVirus says this is a virus? Is it safe? Does this version save a copy of the SHSH Blobs on the local machine. I could not locate any SHSH files on my PC after I tried to create a backup. With an Iphone 4 you must use TinyUmbrella 4.00.24 in order to get this process to work properly. When I try to back up my SHSH blobs, I plug in my phone, open Tiny Umbrella, and every time it keeps saying my phone isn't connected. I've tried, reconnecting it, opening iTunes, everything, it never shows that it's connected. I'm on OS X. This works perfectly on my 3gs with iOS 4 , but it wont work at all on my iPhone 4 running iOS 4 (It Doesnt even See my iPhone 4 at all). Why won't my iPhone 4 show up? It shows on iTunes but TinyUmbrella always says no device connected. I tried on a PC and Mac. I'm broken and confused. Is there something I'm missing? The program can't find my iPhone 4. Says no device connected. Have latest iTunes installed and brand new iPhone 4 without any extra programs on it. Running on Win 7 32bit. Trying to use TinyUmbrella on my MacBook Pro and it is not detecting my iPhone 4.
iPhone 4 seems to be not working, umbrella can't detect iPhone. On the other hand, 3gs upgraded to ios4 shsh backup fine. NO WAY, DOESN't Work, Whats WRONG>>>>>>>?????? 0026 works fine off tinyumbrella site, I couldnt get 0023 to detect my 4 either. should I upgrade my JB iPhone3Gs v3.1.3 FW 5.12.01 now to OS4 before OS4.01 is released? I think that requires downloading iTunes 9.2? Oh… It's sad when some tries to gain traffic using us poor iPhone 4 users!